Mierce has generously sent several pieces, of the which these are but a few. The prize table for the Golden Ticket is gonna be sweet this year, I promise. There is a lot of variety in the models, from barbarians and beastmen all the way up to legionnaires and wizards. Because these models are so diverse they won't be going out as a single set but we've designed a special method of distributing these bad boys out to everyone, which we'll get to in a minute. 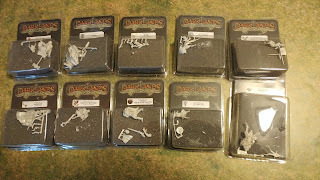 These dwarfs will be put up for the Golden Ticket raffle at the end of the tournament. But they also sent us an orc chieftain who is quite awesome itself. All of these models are on par with Mierce as far as quality so you know they are great looking models. Now, this brings me to our next point that I wanted to bring up. 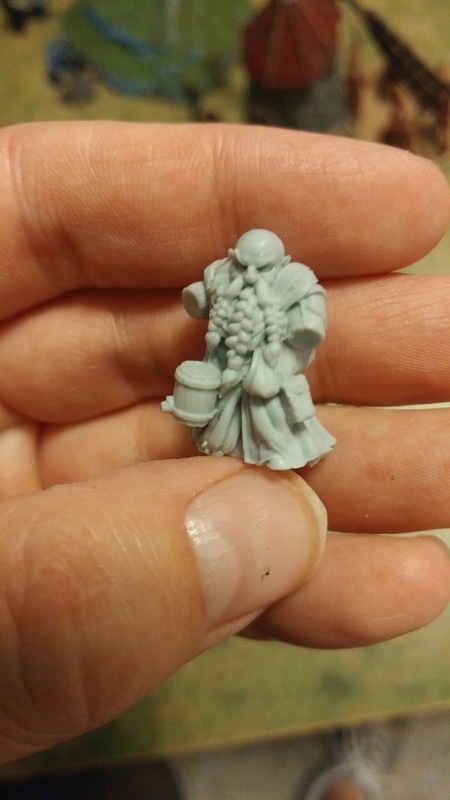 In the past everyone has received in their swag bag (or cup as last year showed) a miniature from MOM Miniaturas, sadly this year it seems as though they have decided to pass on sponsoring us but I wanted to keep that tradition alive of everyone getting a cool new single miniature. So I've decided that from several of my own pieces of miniatures (the high quality ones) that I have accumulated over the years of my involvement in this hobby, mixed with the Mierce Miniatures sponsorship and the extra orc from Atlantis, we will be allowing every player who registers to choose 1 of of these fabulous models from various reputable companies. 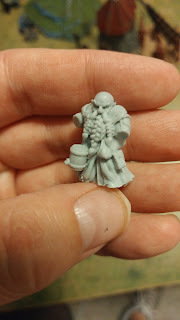 It will not be a random miniature, but rather one of your choosing! The way that this will work is on the day when you sign in on Friday, October 19th, as soon as you come up to me and sign in, I'll take you over to the stash where you will get to choose your free mini just for being a part of the tournament! Obviously this means that everyone will be drawing from a pool and it will be on a first come, first serve basis. People who come and help set up on that Friday morning or Thursday night will get first dibs if they are registered for the tournament. Don't worry, these will all be fantastic, high quality (and in some cases limited edition) miniatures. 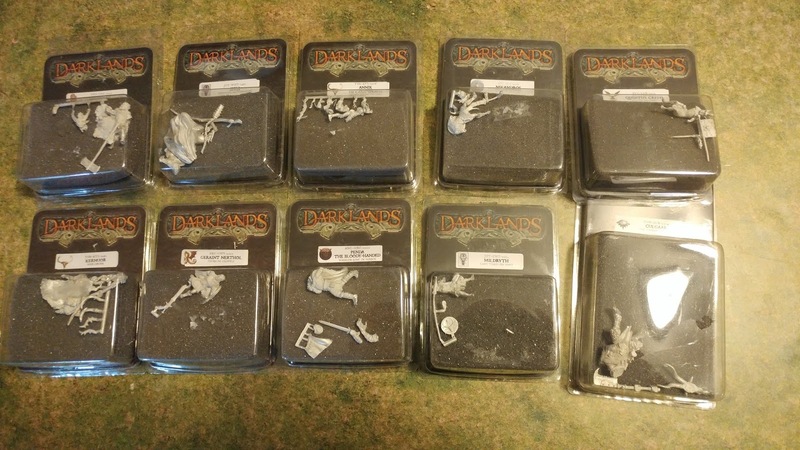 There will be something for everyone, I already have minis that will work in Naiad, Nightstalker, Undead, Varangur, Basilean, Elf, and any kind of human or hippie army in the books, so be ready to be spoilt for choices. Please folks, visit our Sponsors Page and check out all of our awesome sponsors who will be helping supply prize support or terrain to make this event a success. Go and check out their pages and even if you're not coming to the tournament go and by from these guys! As another point, we've had our first player sign up! James is a new local right here from Idaho who is just getting into the hobby and is really excited for the tournament! We're excited to have him!